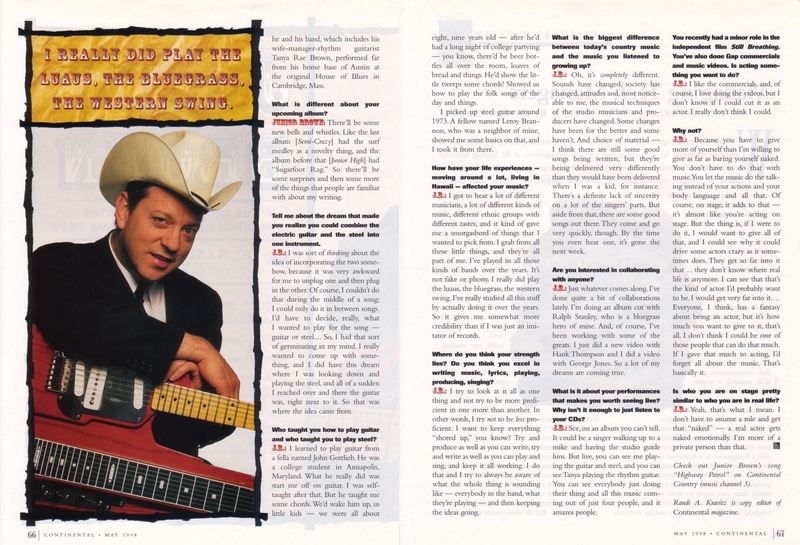 I interviewed “guit-steel” artist Junior Brown at the former House of Blues in Cambridge, Mass., for Continental Airlines. Junior Brown Page 1 of 2 (jpg)Click to open in a new window. Once open, hold cursor over document, then click zoom icon to expand to full size. 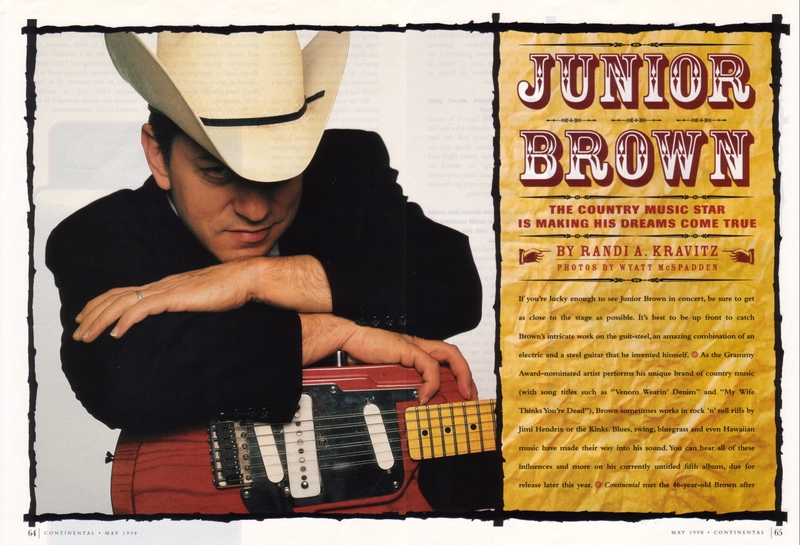 Junior Brown Page 2 of 2 (jpg)Click to open in a new window. Once open, hold cursor over document, then click zoom icon to expand to full size.